Last week, the SNB’s decision to abandon EUR-CHF floor and cut interest rates surprised everyone. Big news that’s been covered in all media outlet worldwide. FXStreet of course did and is still doing a complete coverage of the consequences of this event on the Forex market, but was also quoted in 2 other media last Friday: The Huffington Post and La Vanguardia. 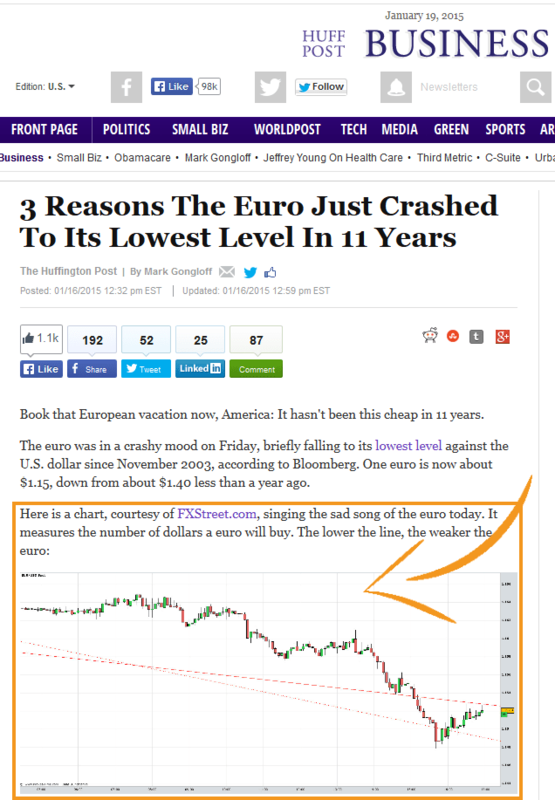 In an article of the Huffington Post titled 3 Reasons The Euro Just Crashed To Its Lowest Level In 11 Years, journalist Mark Gongloff inserted a chart of the EURUSD taken from our currency charts page. 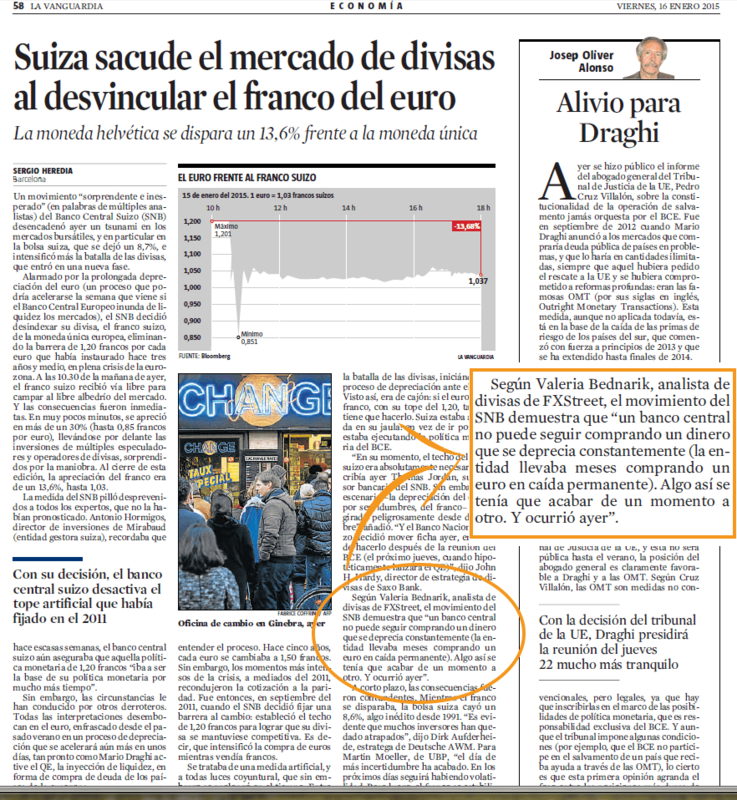 Según Valeria Bednarik, analista de divisas de FXStreet, el movimiento del SNB demuestra que “un banco central no puede seguir comprando un dinero que se deprecia constantemente (la entidad llevaba meses comprando un euro en caída permanente). Algo así se tenía que acabar de un momento a otro. Y ocurrió ayer”.